Of the many sensible people on planet Earth one of my favourite is Australian scientist Dr Karl Kruszelnicki. Many years ago on his JJJ radio show he was taking talkback questions from the punters and was asked, for the millionth time, about a perpetual motion machine. Patiently Dr Karl suggested it was a waste of time and that you'd be better off trying to make a self-tickling device. 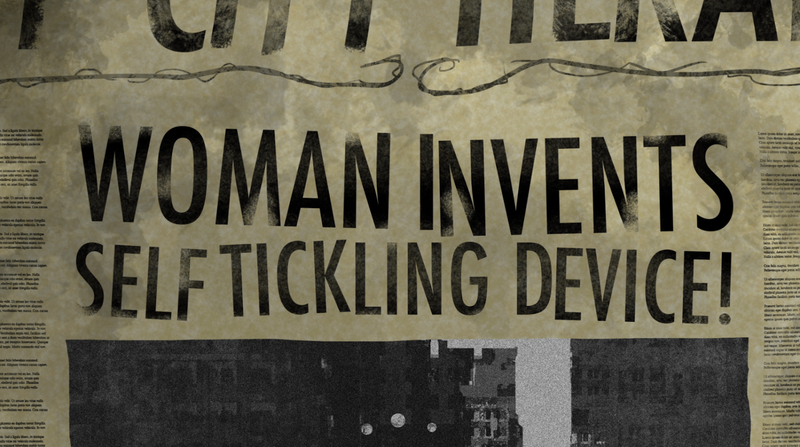 It's impossible to self generate the kind of reaction you get when someone else tickles you. So you might do the world and your bank account a favour by creating something fun and jolly like this. This has stuck with me and I've worked the idea into a gag in my Boxhead & Roundhead feature (which is nearly done, by the way). So, thanks Dr Karl. I suspect this isn't the first time you've had your toes dipped in animation and maybe it won't be the last. You can find Dr Karl on his website, on Twitter, or try Googling him for more stuff. Ha hah! Cool little cameo. Dr Karl rocks!